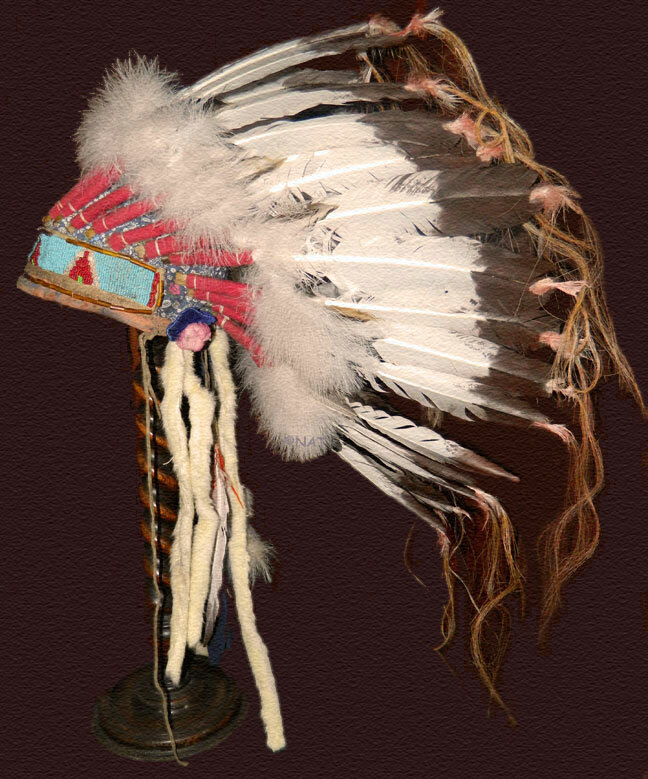 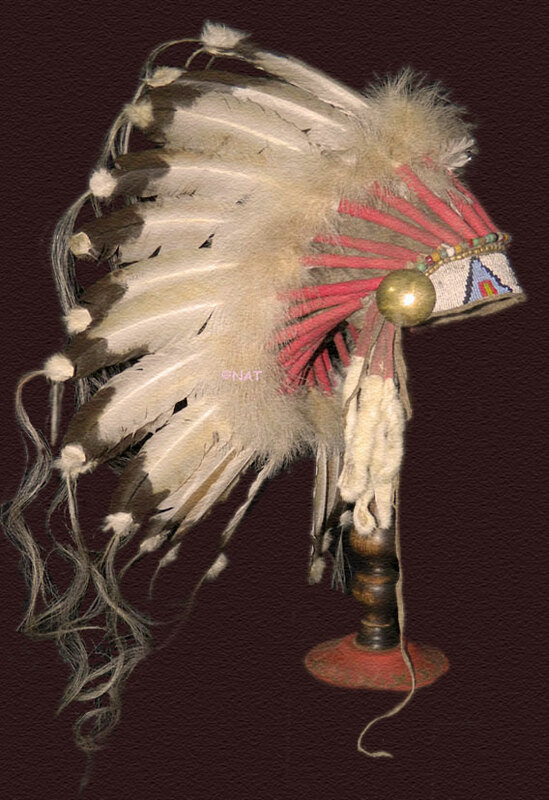 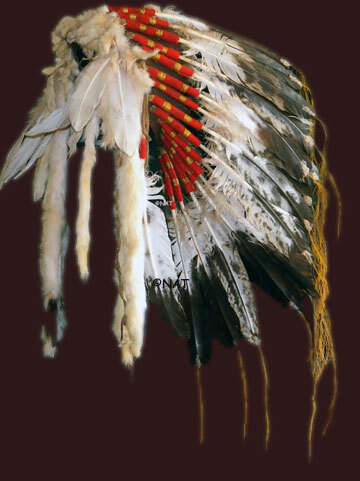 (PLAINS INDIAN & OTHER NATIVE AMERICAN TRIBAL HEADDRESSES) SINGLE & DOUBLE TRAILER HEADDRESS, SPLIT HORN, DOG SOLDIER, PORKY ROACH, MEDICINE MAN, HAIR ORNAMENTS, BUFFALO FUR HEADDRESSES & OTHER NATIVE AMERICAN HEADDRESSES, ETC. 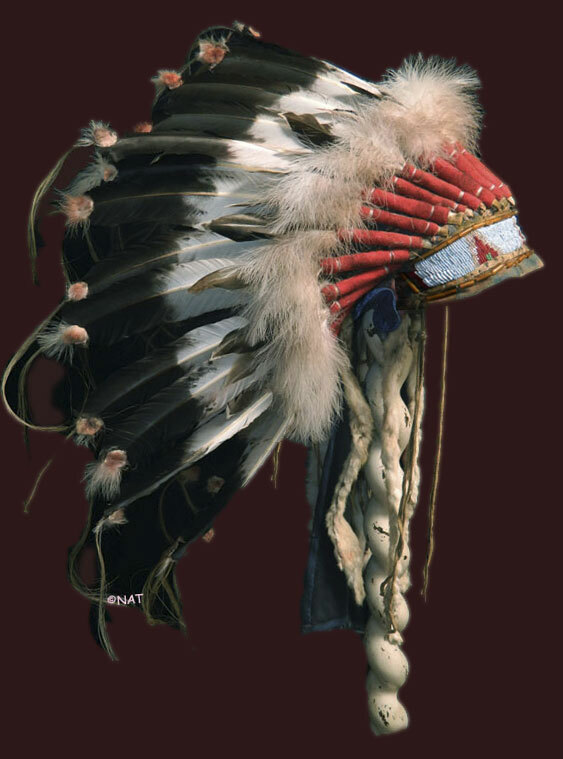 Johnny Depp wearing one of our headdresses HEADDRESS MADE FOR THE MIRAMAX FILM "FINDING NEVERLAND"
Iron Tail (or Cinte Muzza) an Oglala Sioux - fought at the Battle of the Little Big Horn. 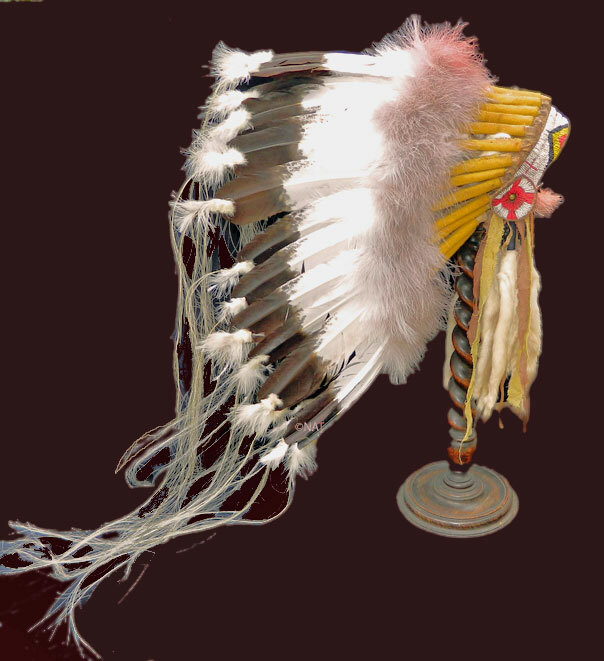 He also performed with Buffalo Bill's Wild West Show during the 1890's and with the Miller Brothers 101 Ranch Wild West show from 1913 to 1916. 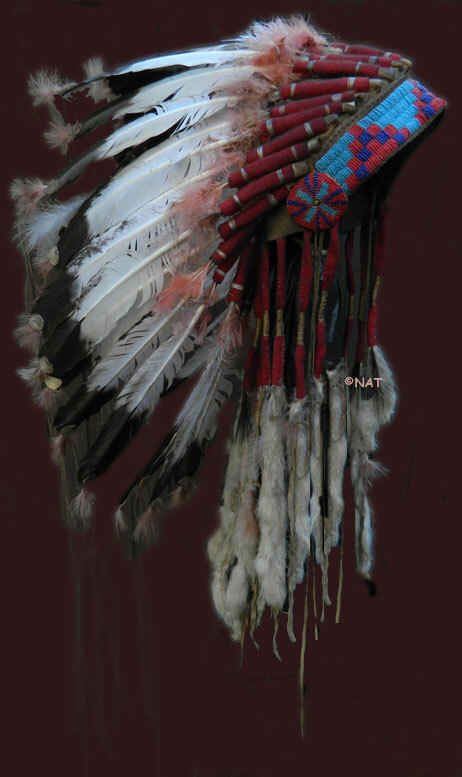 He died of pneumonia on May 28, 1916 while traveling to his homeland, the hills of South Dakota. 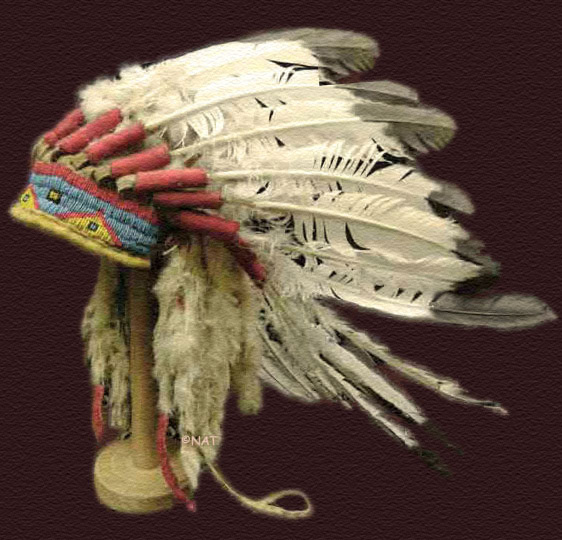 Iron Tail was one of three models for the Indian Head nickel. 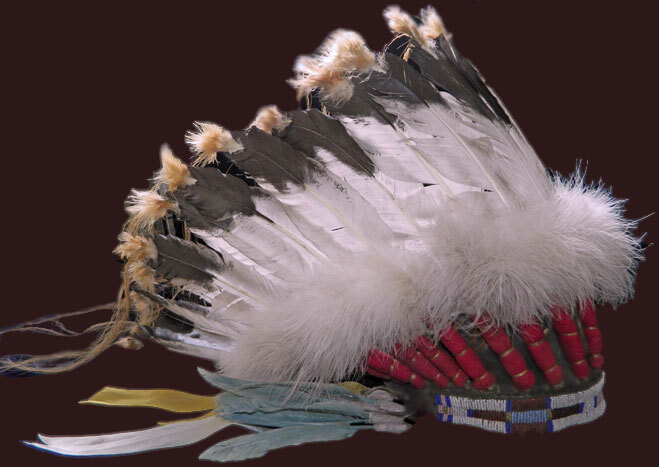 All of our headdresses are hand beaded (lazy stitch or applique' brow bands in traditional colors - not loom beaded. 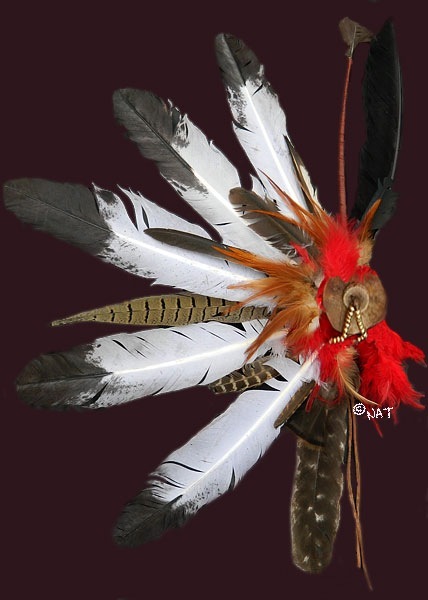 All feathers are hand wrapped and hand painted with trade cloth/flannel or other material. 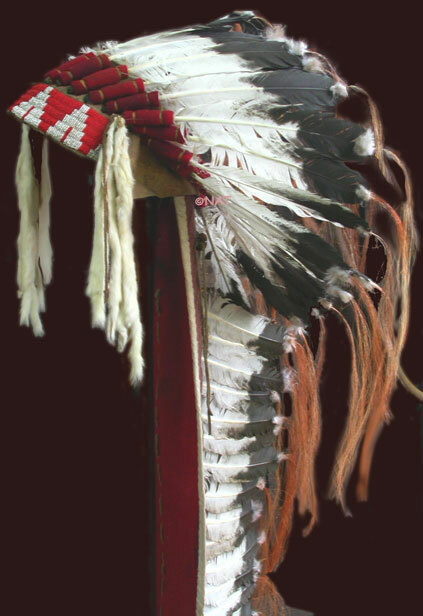 The preferred color in the old days was red or yellow Feathers are decorated with horse hair, breath feathers, gypsum, buckskin/elk or fur on tips of feathers. 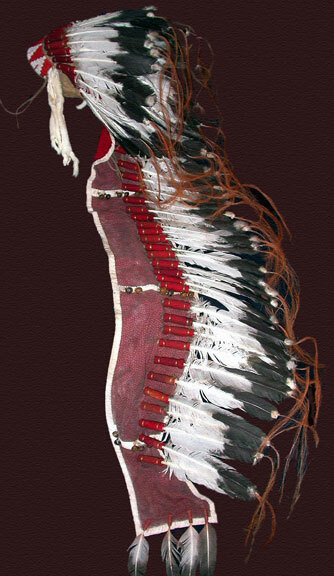 We also utilize clay paints. 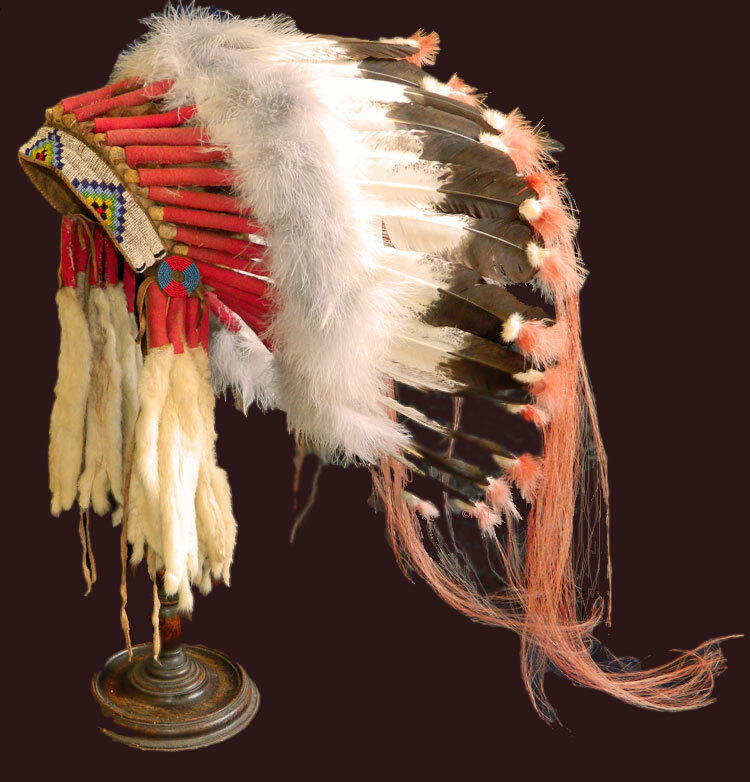 Each headdress is antiqued to look old (if required). 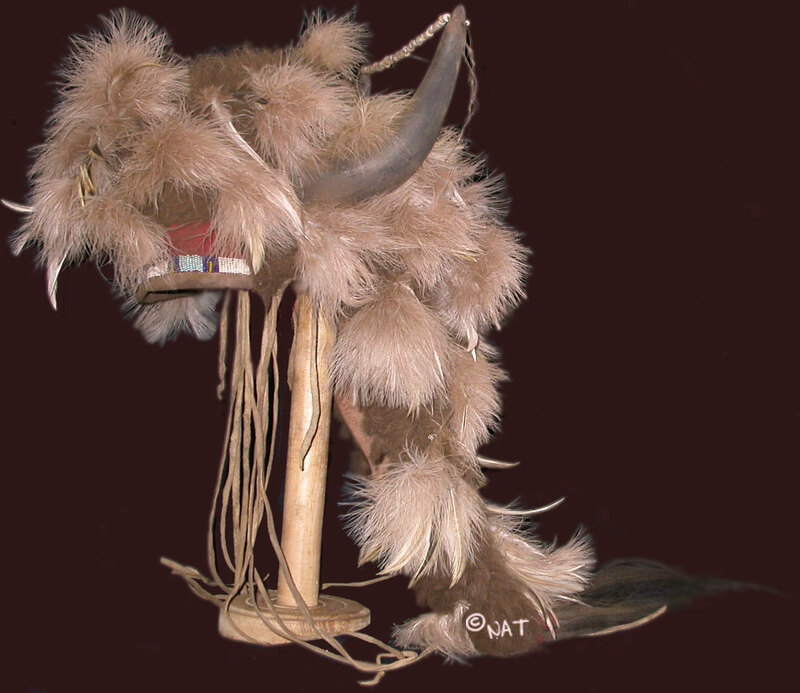 Deer skin or Elk skull caps are covered with feathers, ermine, Buffalo fur, otter, or other fur - and applied in various ways. 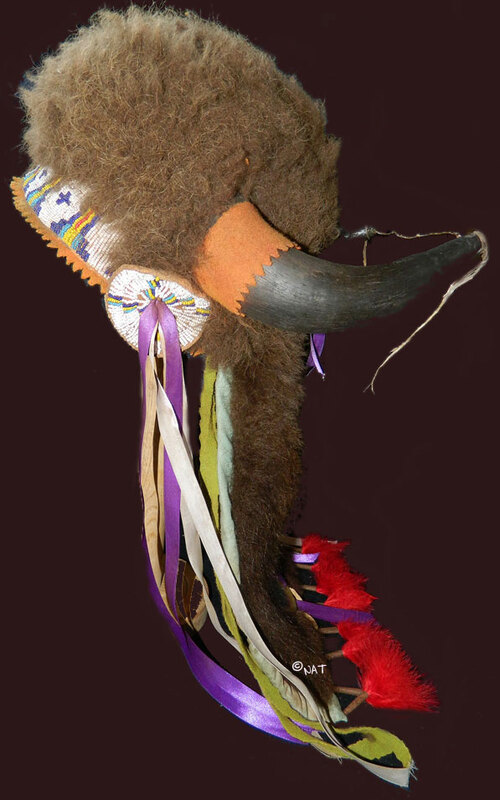 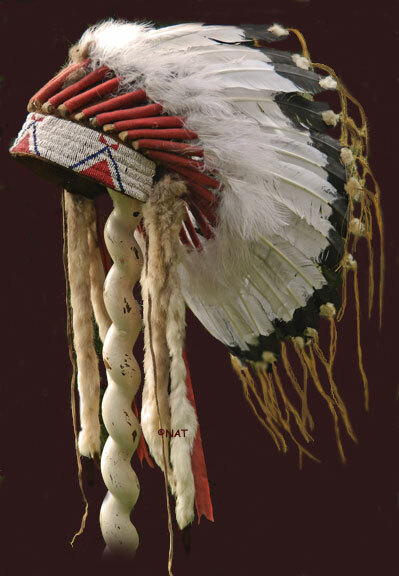 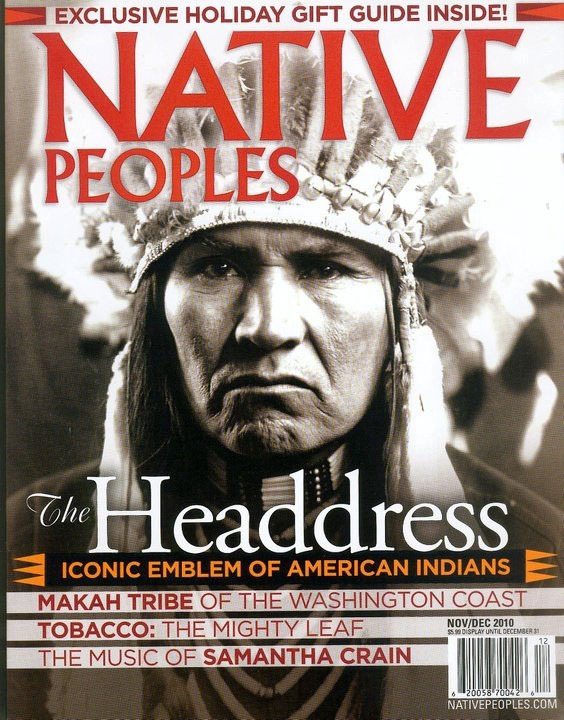 Headdresses are adorned with buffalo hair, ribbon, ermine, quill work, braided leather, bead work, feather side drops, aged tin cones, hawk bells and dance bells, etc. 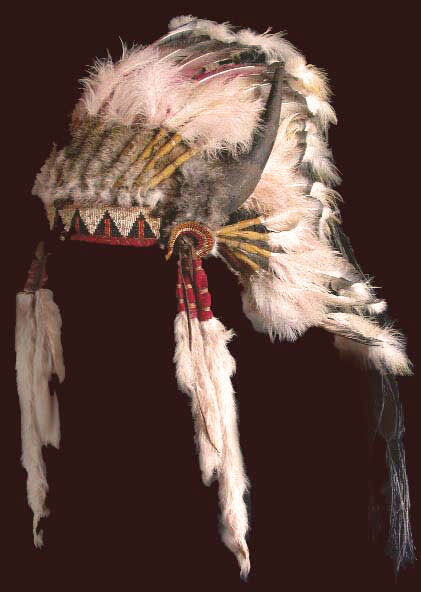 Replica of a Cheyenne Headdress featuring brass conchos, ermine coup dots and drops, brass beads, curled horse hair, etc. 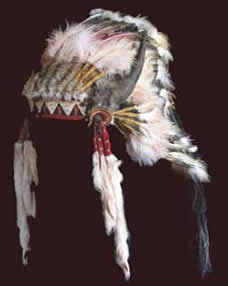 lazy stitch beadwork, deer skin cap, buffalo wool on cap, trade cloth, antelope, studs, ermine, calico, etc.